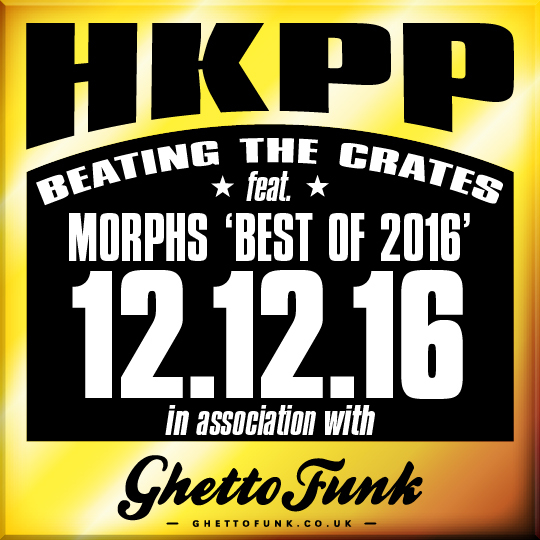 Morphosis presents the last ‘Beating The Crates’ of 2016 in a Hong Kong Ping Pong Styleeeeee in association with Ghetto Funk. He’s managed to squeeze in over 50 of his favourite tunes from the past 12 months featuring the likes of Emapea, Poldoore, Charlie Beale., Defunk, GRiZ, misterT, Jamie Berry, Fort Knox Five, OPIUO, Royal Blood, A.Skillz, Father Funk, JFB, WBBL, Tom Booze, Featurecast, Howla, Tuxedo Junction and many more! This show is now available to download from the NSB Radio Archives and to stream on Mixcloud! 48 Howla – Hey Pachuco!